Contact Us - Gernot H. Winkler, D.D.S. Optimism. Our office embraces this philosophy. Our staff is here to serve the patient's dental needs. Because we realize that you navigate the many duties and demands placed upon you every day, we ensure every visit to our office is a positive visit and that the experience will add to your day. 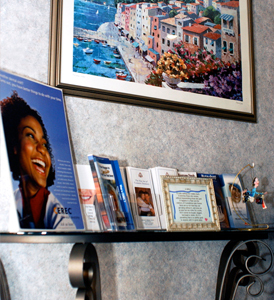 We hope to brighten your day and your smile by a visit to our office.